Back to these insane boots! I have been on the eternal hunt for thigh high boots, a little skeptical at first since I am a wee bit shot, and by wee bit, I mean 5ft tall-yes tall. However, these are perfect. They actually make my gams look like they go on for miles. These beauts are from Public Desire, be warned: you may never want to peel your eyes from this website. (Sorry wallet) I am all about having key items in your closet and these definitely fit the part. Thigh high boots can be paired with dresses, rompers, shorts, leather leggings, jeans. They are also super versatile to wear through all of the seasons, yep even Summer (#ootn). 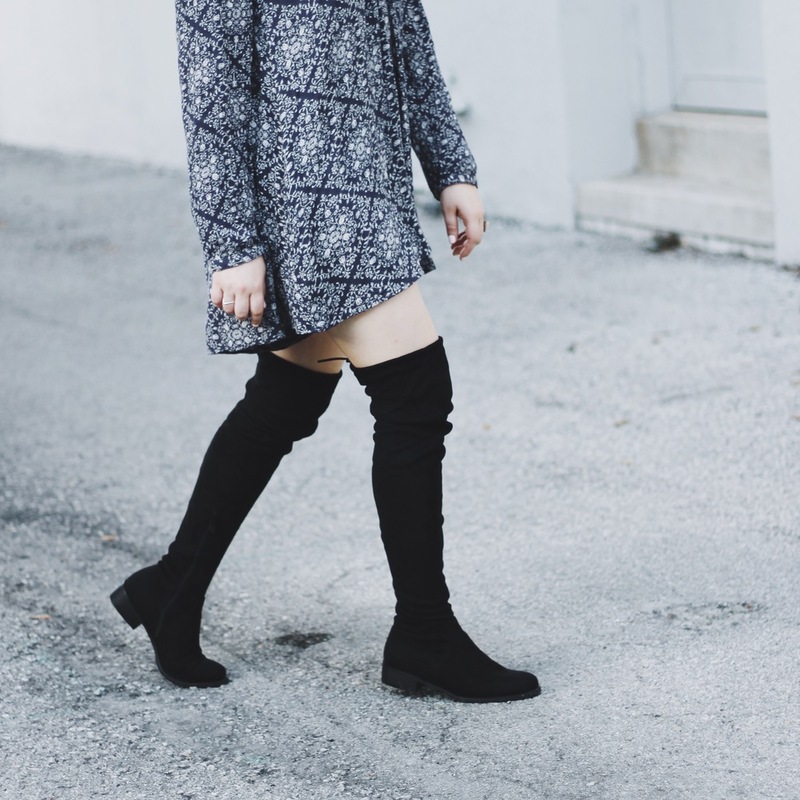 I paired these boots with one of my all time favorite rompers from Zara. It is so flowy and the print is super boho, perfect for Spring and Summer. Currently planning my next outfit with these boots! I have put together some of my favorite boots from Public Desire, check my favorites out below. Btw. Happy finals weeks, and congrats to all of the college graduates!